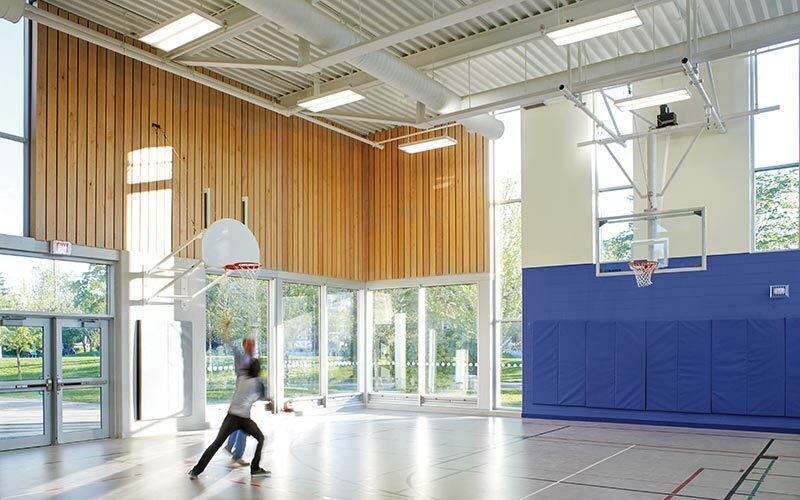 The introduction of middle school aged students into the ARC 4 community schools, was incentive to provide a new multi-purpose gymnasium at Cedarvale Community School. The demolition and subsequent expansion of the existing gymnasium, was necessary to provide a new 3,800 sq. ft. gymnasium, with 21 foot high ceilings and newly renovated boys and girls change rooms. Equipped with retractable basketball backstops, a retractable stage, and a full audio visual / PA system, and a Pulastic gymnasium flooring system, the new gym will support a wide range of school and community programs, while also functioning as a lunchroom. 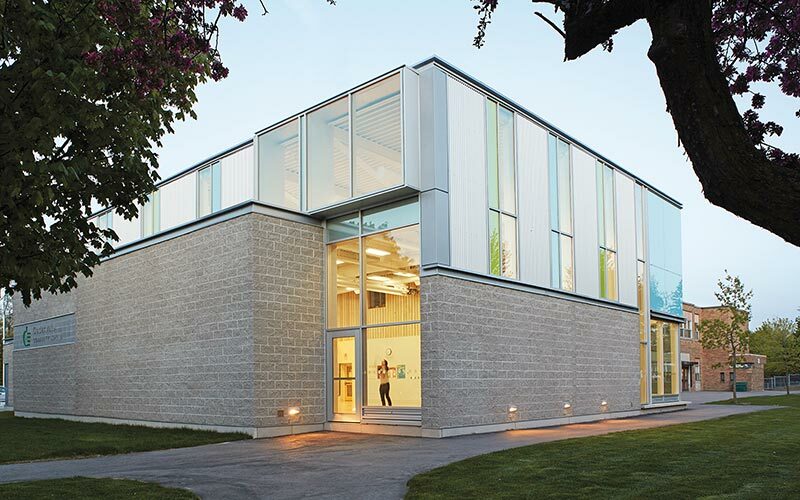 The design provides ample natural light through the use of large glazed walls and clerestory glazing. Acoustic metal deck, and a custom designed acoustic maple slat wall provide acoustic attenuation. 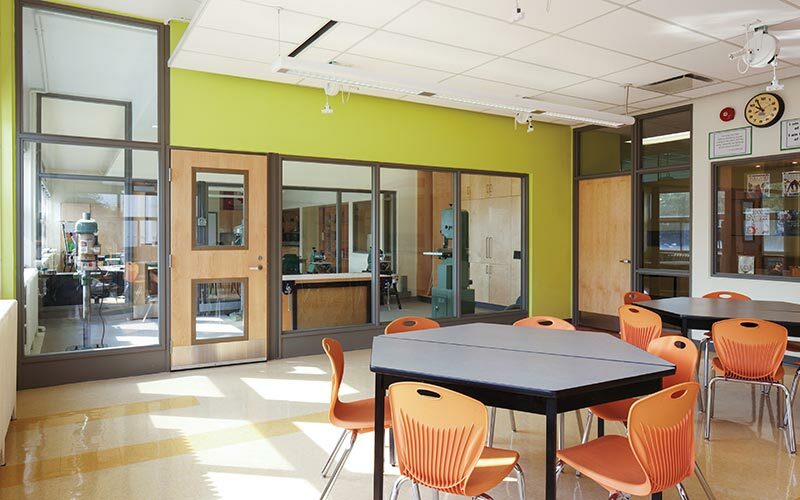 Elegantly design steel trusses express the forces of nature, and serve as an educational tool for students. 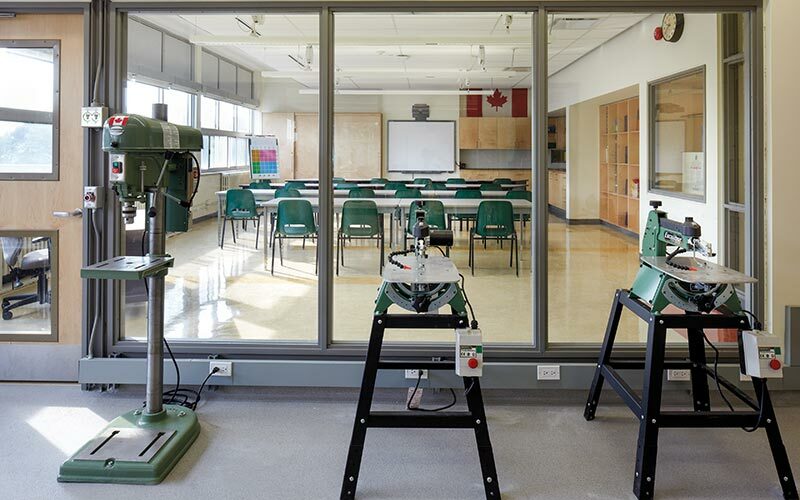 Organized around a central collaborative space, a three classroom addition, creates a new landscaped courtyard designed to serve as an outdoor classroom. A subtle cladding palette of light coloured split face block, metallic aluminum siding, compliments the existing brick school, and fits in well with the neighboring residential neighborhood. 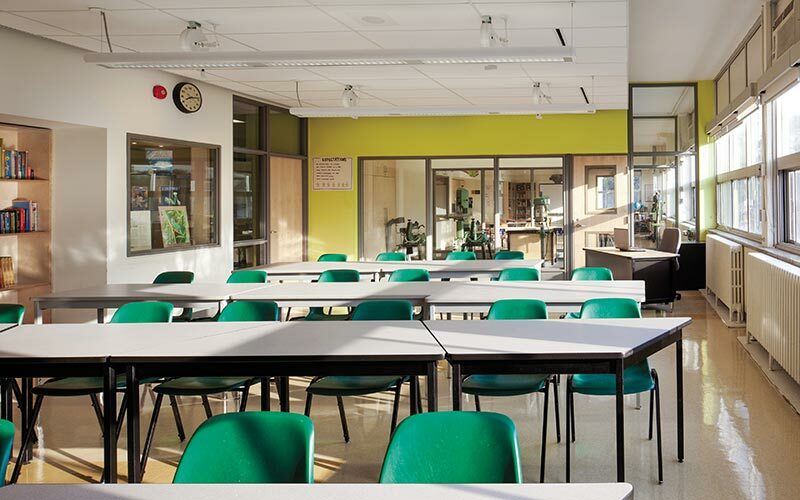 A ribbon of coloured glass spandrel panels weaves through the project tying the classroom and gymnasium addition together. New exterior entrances to the gymnasium, will provide the community and permit holders with after hours access to the school.